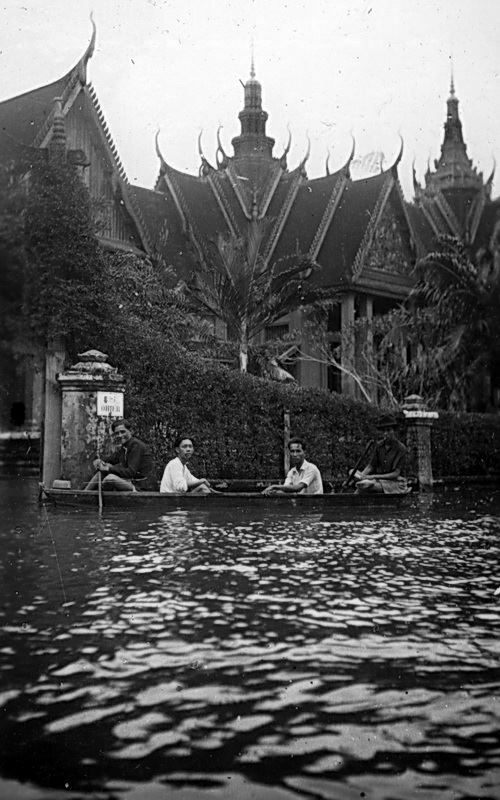 Two men in a pirogue paddle by the museum entrance. Circa 1934. Photo courtesy Nicole Groslier. Photo 1934. Via Di Dol Facebook.